Washington, D.C.: Federal Aviation regulators met Friday with pilot representatives from United Airlines, Southwest and American Airlines the three US airlines whose fleets include the grounded 737 Max jets to discuss a software overhaul and a related set of training requirements designed to make the planes airworthy again. The meeting was part of a broader soul-searching that has gripped the US aviation community in recent months after two new Boeing jets crashed in Indonesia and Ethiopia, killing 346 people. The FAA grounded the Max 8 and 9 planes on March 14, saying authorities needed to investigate “the possibility of a shared cause” between the two crashes. Although authorities are yet to formally assign blame for either crash, investigators have already concluded that the anti-stalling feature — the Manoeuvring Characteristics Augmentation System, or MCAS — was activated in the final minutes of the Ethiopian flight. Pilot unions were angry that they were not made aware of the MCAS issue until after the first crash, and the FAA is still waiting on a final software fix for a flight control system that played a role in both crashes and a related set of pilot training modules. The FAA is in the spotlight over a 15-year-old policy to allow manufacturers including Boeing to “self-certify” the aircraft they produce. Questions around the certification process for the 737 Max aircraft have been the subject of congressional inquiries and a criminal investigation. The purpose of Friday’s meeting was to gather data and “to further understand their views as the FAA decides what needs to be done before returning the aircraft to service,” an FAA spokesman said Friday. FAA acting administrator Daniel Elwell said the meeting had been an opportunity to get regulators on the same page with commercial airline pilots. “As a pilot myself, as a longtime member of a commercial airline pilot union ... I understand how important it is to the rank-and-file pilot to understand what the FAA’s doing,” Elwell said in a video released soon after the meeting. “Of course, the flight departments are equally engaged and it’s equally important to speak to them. The one unique aspect of this meeting is bringing them together, so they can hear each other’s questions in real time, and hear our answers in real time.” Earlier this month, Boeing’s chief executive Dennis Muilenburg took the step of directly apologising for the lives lost on the two doomed flights and acknowledged that MCAS played a role in both tragedies. Pilot unions from Southwest and American Airlines, in particular, have been critical of Boeing’s role. 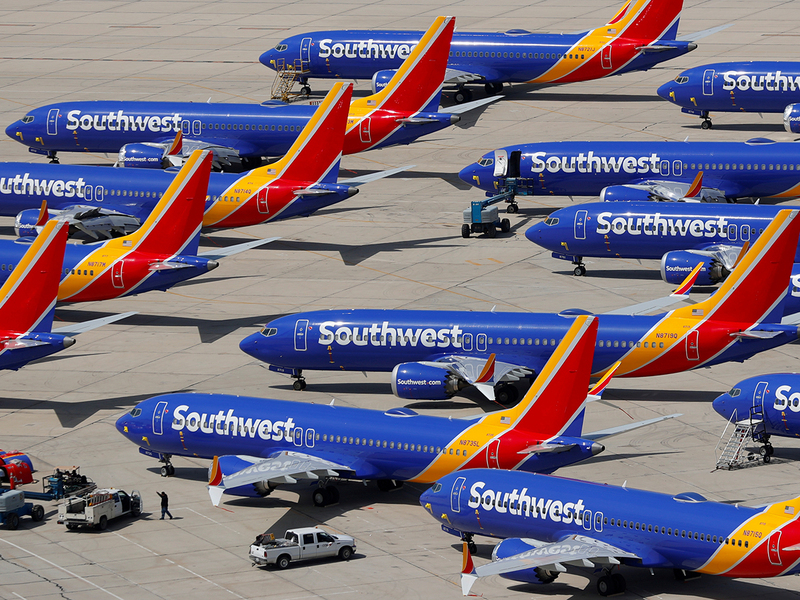 In a bulletin sent to members after the meeting, Southwest Airlines Pilots Association President Jon Weaks said the FAA’s policy of “organisation designation authorisation,” that allows manufacturers to self-certify should be debated in Congress. The FAA is still waiting for Boeing to deliver the final package of software fixes and related training updates that will address the MCAS issue. While the company has been working on the software fix for months, those efforts have been complicated by a new FAA requirement that Boeing fix a separate software problem uncovered more recently. Boeing executives have said the company is proceeding with caution to ensure the final software and training fixes are satisfactory. “We’re taking a comprehensive, disciplined approach — and taking the time — to make sure we get it right,” Muilenburg said Thursday in Texas.